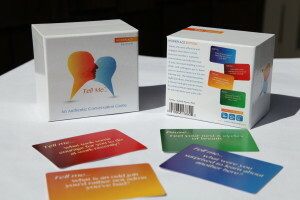 Provides a platform for you and your group to listen to each other attentively. Allows you to connect with yourself by exploring how you really think and feel about meaningful topics. Guides you to mindfully sense your body, senses and breath as you listen and speak. 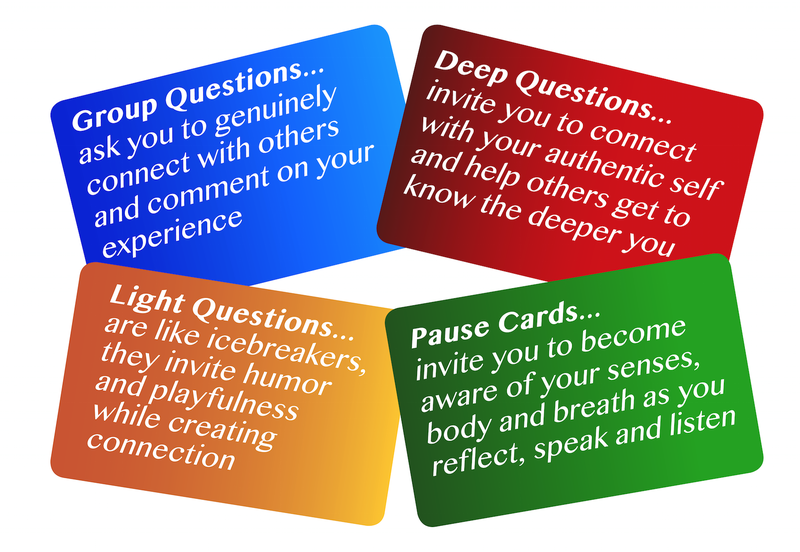 Helps you connect with your group by authentically expressing yourself, and letting them know which things they say truly resonate with you. 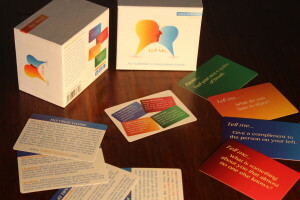 Bonds you with others through the levity and laughter interspersed throughout the game. Please see our Kickstarter project for more information.